During World War 2, the prevailing military strategies believed that the key to victory would be sustained bombing of industrial and political infrastructure, as well as military targets. Bombers would play a huge role in the war as they were one of the most effective units in causing massive damage to this infrastructure. Throughout the German advance in Europe, air power played a huge role as sustained bombings pushed many governments to surrender. The Luftwaffe would eventually turns their sights towards Britian and heavily bomb British towns and cities during July and August of 1940, in advance of Operation Sea Lion and The Blitz. The British RAF Bomber Command would bomb Berlin in response and Berlin was just within range of British bombers. These bombing raids would go frequently between 1940 and 1945 and dropped an estimated 46,000 tons of bombs, about twice the tonnage of the United States Air Force, in Berlin alone. As one would expect, the British were suffering losses of their bombers from German anti-air defenses. So, they commissioned a study of their surviving bombers to decide where they could reinforce their bombers to increase survivability. The British RAF Bomber Command recommended that they increase the amount of armor on the places that were being hit, not a bad conclusion, right? In fact, it’s illustrates a common logical error – survivorship bias. Survivorship bias is a simple logical error where you concentrate too much on what you can see with people, businesses, or things that “survived” a process. You miss what you can’t see because it’s not immediately in front of you or was excluded because it no longer exists. 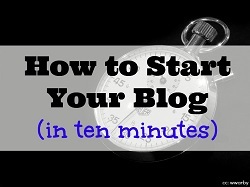 In blogging, it’s easy to see the successful bloggers in a niche and look for a commonality among them. While that’s good to start with, it’s dangerous to finish there. You need to consider who was popular four or five years ago (or longer, depending on the niche) and if they no longer exist, investigate why. Research what made them peak 5 years ago but a shadow of their former glory today. Compare that with what works today with current successful bloggers in that niche and do your comparisons with the “dead” included. 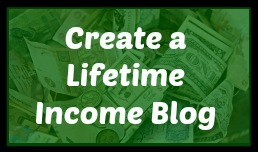 I don’t want to name names but some of the most popular frugal blogs from five years ago are a shell of what they once were. A blog that used to get 50+ comments on each post (sometimes hundreds) now get less than five or ten. I don’t know about its traffic numbers but I know the community that used to exist on that site is gone (and it’s kind of sad). 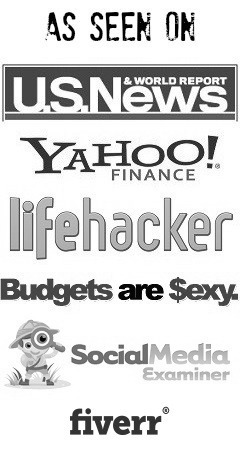 If you sit it next to arguably the most popular “frugal lifestyle” blog today, Mr Money Mustache, there are plenty of similarities. Both talk about a simpler lifestyle, both give actionable advice on how to save money and live a life of wanting less, and both have a clearly articulated mission. What does MMM do better? Among many other things, it has way more personality. Pete is far more interesting and he’s more up front than the other site’s author. The other site had more personality five years ago but over time it went away. It became diluted, with staff writers, and people lost that connection. Readers don’t build relationships with staff writers, they build relationships with people whose faces they see over and over again. MMM is also far more focused. It’s perfect for a smaller number of people than the other site, but that “smaller number” of people is still a very large number. It is still the internet after all. Why is this significant? 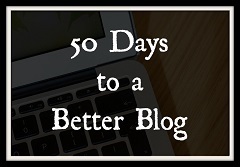 Because blogging strategies have changed the last 5 years. Five years ago, it was about producing high quality SEO-optimized content so that Google and other search engines would rank you higher and send you traffic. It’s different today. You still need high quality but it’s about being specific, about having a personality and making a connection. Your biggest traffic wins will come from social media and word of mouth. Facebook, Twitter, and Pinterest are the cake… and Google is the icing. People share shareable content, they don’t share encyclopedias. If you were to study just the popular blogs of today, you may not notice the change in trends because very few of the older blogs survived it (or are a fraction of what they used to be, and you just don’t notice). You would see what makes MMM popular but you might not see what’s missing in the other other blogs. Regardless of the conclusion, it’s crucial to study them all, not just the ones that are still around. That’s the point of understanding survivorship bias. In 1943, Abraham Wald, a Jewish mathematician from Romania, published a series of memoranda while working for the National Defense Research Committee in the United States (I learned of this via Douglas_Reay on the site LessWrong). In it, he recommended that the planes be reinforced in the areas not hit in the surviving planes. The returning planes survived the hits they sustained, so they are less critical than the areas that weren’t hit, and it’s presumed that the ones that were lost were hit in critical areas. You can read Wald’s memoranda here. Also, neither of the two beautiful aircraft in the photo are British. 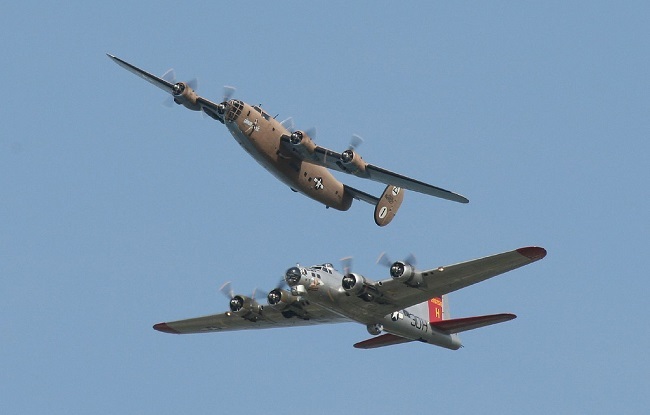 They’re the B17 Flying Fortress and the B24 Liberator and awesomely American. Jim: If you haven’t already, you should check out the book “How Not to Be Wrong: The Power of Mathematical Thinking.” Wald was talked about in-depth in the book and it’s a solid read. Thanks Brad, I’ll be sure to take a look once I get through my current backlog!